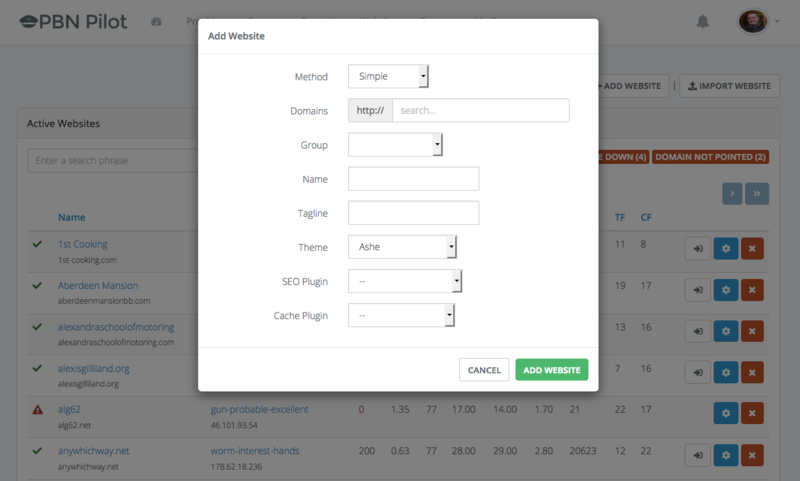 Fully manage all of your sites in one place. No more wasting time, no more logging into multiple sites and hosts. Click “Add Website”, enter site Domain, Title and Group, select a popular theme and plugins or randomize them and then click “Add Website”. Go to your registrar, find your domain and change the DNS Records. This can also be automated with our Automatic DNS. Login to your site directly from your dashboard, where you will find it already set up to your specifications. Your websites are hosted on hundreds of hosting accounts which are with the big brand providers like Digital Ocean, Amazon, Linode, Rackspace, and Softlayer. 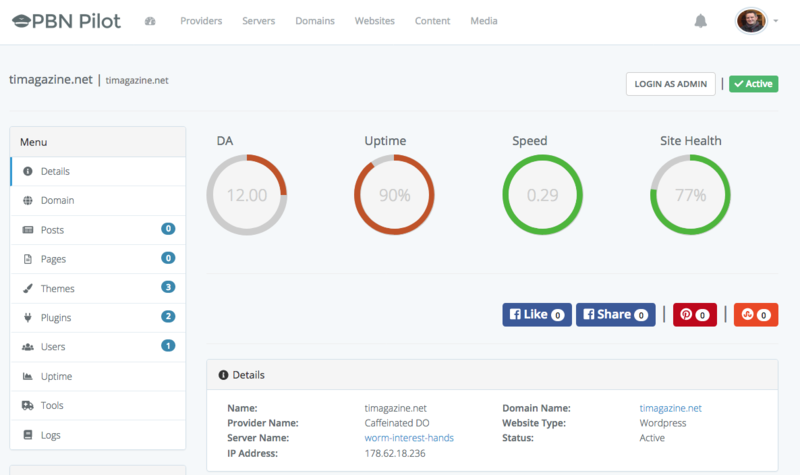 You’ll be using their IPs, DNS and datacenters making your profile completely natural, safe and secure on servers that have 99.9% uptime and are optimised to host your website making them lightning fast. Run multiple websites across multiple teams from one simple dashboard. In fact, PBN Pilot does 99% of the work for you. One click to deploy a website to a your server of choice. Automatic updates, daily backups and website health monitoring, plus server performance and security optimization. You get the ability to forget about almost every technical aspect of your website setup, maintenance, security and performance which means your focus can be on increasing your rankings. As easy as entering two fields – Domain and Site Title, everything else is setup automatically for you. A popular theme and plugins will be installed. Usernames are randomized. 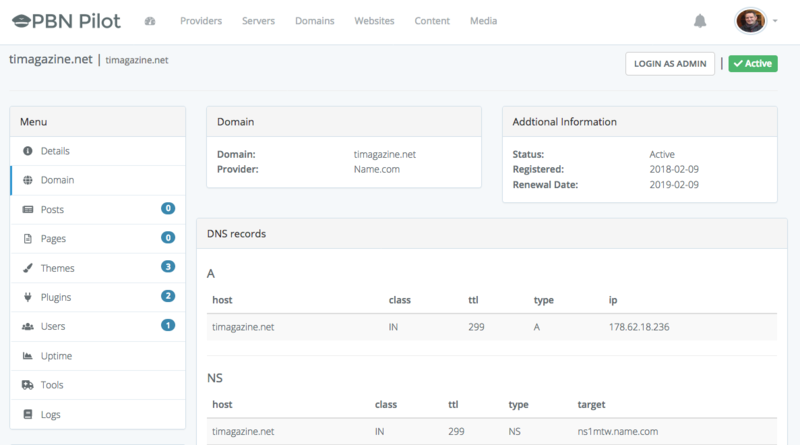 Get information on server IP, login credentials, WordPress version, Name servers, SOA and WhoIs easily from one screen. Check if backups are running smoothly and optimally. We offer a built in blog health checker, so you can be assured your sites are performing well. That means we can diagnose each of your sites and give them a health score. A quick overview of all your blogs on different servers. Login directly to your sites from the dashboard. Quickly glance at your dashboard to see how your network is performing. One click to deploy a site to a hosting provider. Then just a couple more clicks to add popular plugins and settings. Usernames are randomly chosen, with random email address and a popular full name for display name. Import your existing websites from other hosts into our system with just a few clicks of your mouse or use our free website transfer service. HTTPS/SSL is now more important than ever to maintaining a healthy network. Our SSL support keeps your sites safe and secure. Constant site health monitoring to show you issues that can cause deindexation. Guaranteed to lower deindexation rates. Majestic, MOZ and Indexation status are all updated on a regular basis right on your dashboard. Each site and domain is set up to alert you whether it’s an issue with one of your websites, hosting prviders or simply an upcoming domain renewal date. Your sites are hosted by big brand hosting providers. Nameservers are provided by the same provider or popular DNS providers. Automatic daily backups are taken of all your sites and servers, which you can download with one click to your computer. We take care of maintaining optimal server performance, reliability and security, so you don’t have to worry about it. Websites are automatically checked and updated on a regular basis to keep them safe and running optimally. 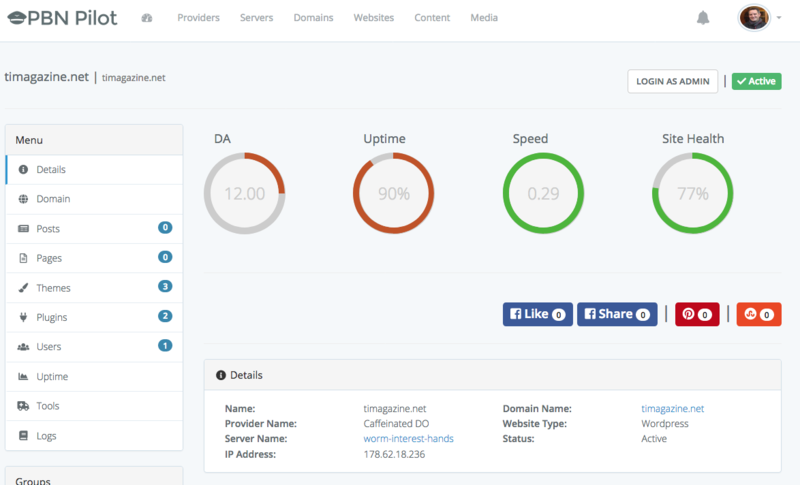 PBNPilot is a powerful platform to manage your sites. It helps me to rank my sites and one click to deploy a site...Amazing!! Quick and easy. These guys have always exceeded my expectations. Their customer service and ease of use were exactly what we were looking for. I would highly recommend. I love the benefits that this gives my business. I will continue using long into the future! Double thumbs up guys. Thanks for making the pain of building pbns so simple! Perfect tool for SEO, Thanks a lot. The free trial allows you to use the service with limitations. If you cancel your trial within 30 days of signing up you won’t be charged the monthly subscription. Plus, if you do decide to cancel, you’ll be able to download all your files and content as we will not remove them for 30 days. How many blogs do you host currently? We are currenly providing hosting management for over 10,000 blogs and growing at a fast rate. Is this safe? Can my site get penalized? Our hosting is the safest around because of the above mentioned privacy features. 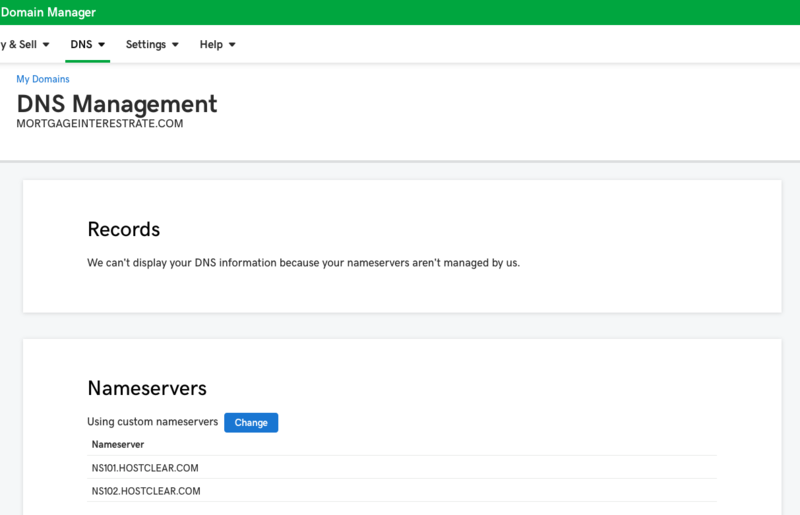 Additionally, because you use your own servers with all of the big hosting providers, this makes PBN Pilot by nature one of the best hosting services available. Ultimately, our blog hosting is comprised of REAL sites. REAL sites don’t get de-indexed and provide long term, dependable results.